What you may not know is that your patients are confused by this not so subtle difference between medical and dental insurance. The medical insurance model has taught them to believe that if insurance doesn’t cover it, it must be unnecessary, discretionary, experimental or exploitative. And they’re secretly resentful that they’ve paid high dental insurance premiums and still have to fork out additional out of pocket costs; it just doesn’t seem fair compared to how their medical insurance works. I created Quality Dental Plan to help patients get past that hurdle – and to allow them to feel as if they truly “belong” in your practice. 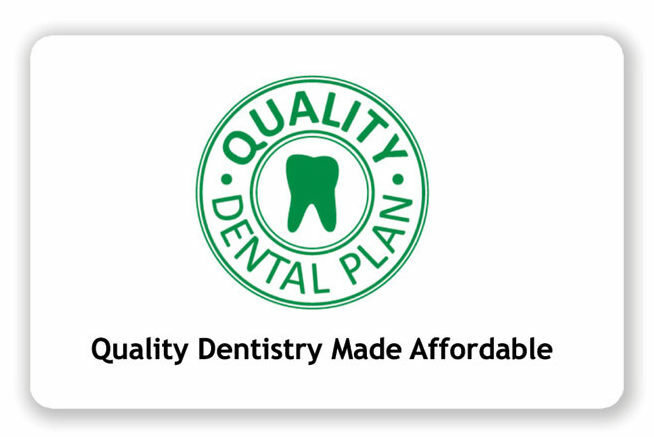 QDP is a dental savings plan within your practice that incentivizes preventive care. It allows you to help patients say yes by giving them “benefits” that are available exclusively within your practice, regardless of whether they have insurance. Beyond that, patients have the freedom to choose a provider of your caliber rather than be forced to select from the insurance provider list, and QDP helps your patients know up front what their out of pocket costs for preventive dental care will be. 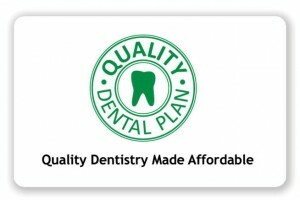 The most important thing to remember is that Quality Dental Plan isn’t dental insurance. Rather, patients pay a simple, set annual membership fee directly to their local dentist, bypassing the third party entirely. In return, they receive a preventive dental care package for the whole year at that dental practice. There’s also a further savings for additional family members, and patients also save on any treatments (restorative, cosmetic, implants), with no limit, and no deductible. Another exciting part of the program is the host of positive changes that tend to happen after a dental practice begins offering QDP to their patients. First, word of mouth referrals increase because of the excitement QDP creates among patients. Next, new patient value increases because case acceptance goes up. Recall intervals begin to tighten up and revenue increases. Collections increase because more services are paid for in advance to take advantage of member discounts. Predictable, recurring annual revenue is created so cash flow improves. Patient loyalty is fostered, and both referrals and long-term patient value increase dramatically as a sense of belonging and value are created in the practice. At the end of the day, an in-office dental membership plan has huge benefits to a practice, but implementing one on your own takes a lot of time and focus – resources that are likely better spent on patient care and running the practice. It took me three years of experimenting, learning and refining to figure out how to make QDP run seamlessly. By working with us, dentists get to eliminate all that trial and error and leapfrog ahead to a tried-and-true system that is customized for their individual practices. As a result, QDP member offices can skip the time, money and energy that I invested creating web sites, consulting legal counsel, crafting advertising and marketing materials, conducting market research, hiring copywriters, designers and public relations professionals, and soliciting feedback from patients. QDP is a turnkey solution that doctors can put into place right away, while they use their own time, energy and expertise to treat patients. Another benefit of working with QDP is the extensive resources we provide. We make available a comprehensive implementation guide, including checklists with all the steps dentists need to get started, as well as live training and video tutorials. We help promote the membership plan to a dentist’s patient base with professionally designed marketing materials and advertising templates – all of which can be tailored to the practice. We even employ a full-time PR team to that can help practices get exposure in local media and attract more new patients, and offer geographic exclusivity so you know that you’re the only dentist in your area who can offer QDP in the practice. In short, QDP lets dentists easily implement a plan proven to increase revenue, loyalty and collections without taking time away from patient care. Dr. Dan Marut, DMD founded Quality Dental Plan to connect dentists looking to make a difference in their communities with new patients while giving people without dental insurance a compelling reason to go to the dentist. He is also the founder of NewDocs.com, a sought-after lecturer and a published author. Dr. Marut is committed to giving back to his community and the world through his profession, and founded his practice and both of his companies with that vision in mind. For more information about QDP, visit www.QDPdentist.com. Dan can be reached via email at DanMarut@QualityDentalPlan.com or by phone at 888-960-1221.